Reggie Harris’ CD Ready To Go ranked #5 on the folk DJ radio chart for 2018! Ready to Go includes 11 songs... 7 new Reggie originals, two African American spirituals and two classic folk covers. It’s a wide-ranging collection of songs meant to inspire and empower in this time of worldwide division and uncertainty. It’s a CD about love and commitment to a more inclusive and positive world community. It’s about hope! 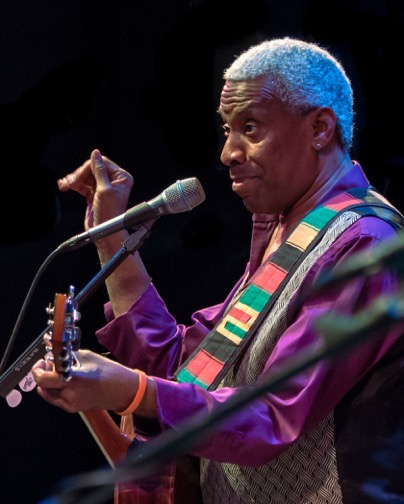 Reggie Harris is a musician, storyteller and educator who has been a vibrant force in musical, educational and historical circles for over 35 years. A well-traveled performer, lecturer and cultural ambassador, Reggie has earned wide acclaim and respect from peers and audiences alike, throughout the U.S, Canada, Europe and around the world. 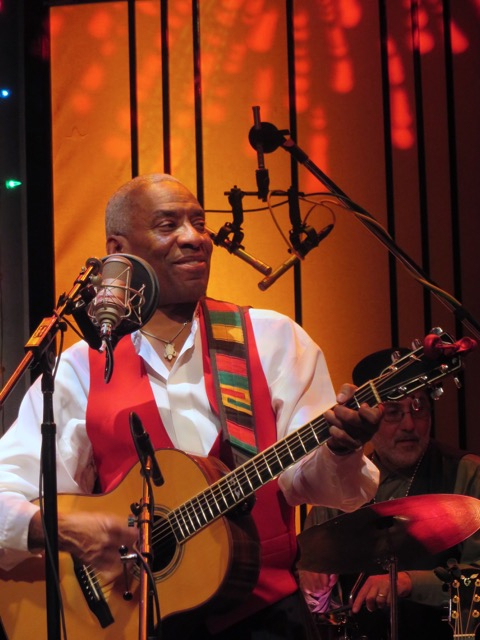 Steeped in the tradition of African American spirituals, folk, gospel, rock and the music of civil and human rights, Reggie’s writing, research, field work and recordings have amassed an amazing repertoire of African American music, blending spirituals and freedom songs, the old with the new. A songwriter of great depth and passion, Reggie’s songs reveal thoughts about life and love and some of the deep aspects of the human experience and cover topics from his own personal journey to world issues and history. His performances showcase a fluid vocalist, arranger and guitarist, whose open spirit and smile create an atmosphere that rewards the ears, opens the heart, informs, and consistently earns trust and joyful admiration from audiences of all ages and backgrounds. 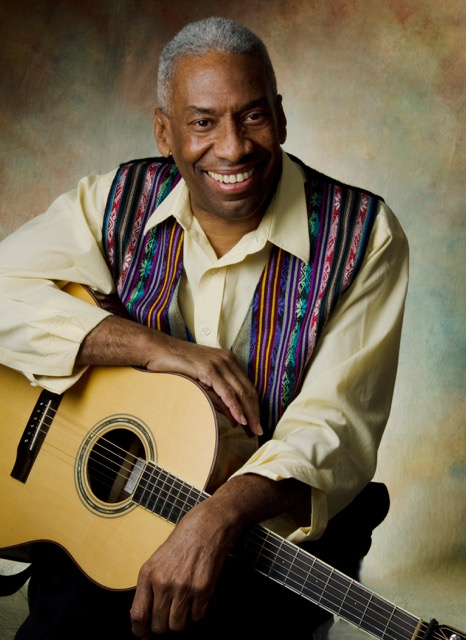 Reggie Harris has been affiliated with the John F Kennedy Center’s Partners in Education program for over two decades, offering both multimedia performances for students and communities as well as an in-depth workshop for educators at all grade levels. As a founding artist in the John F. Kennedy Center’s Changing Education Through the Arts program, Reggie is a committed teacher and advocate for lifelong learning. 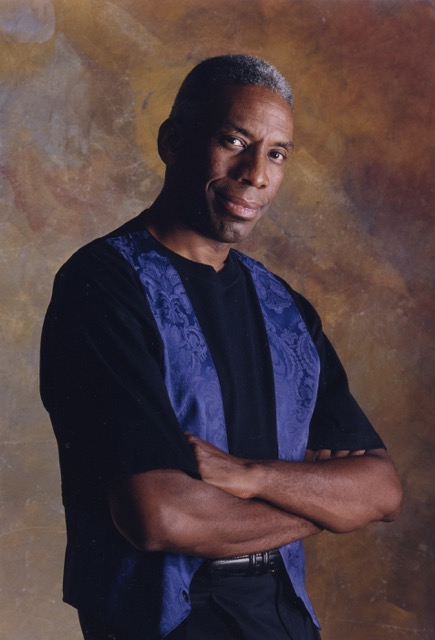 Reggie currently serves as Musical Education Director and is a board member of the UU Living Legacy Project. The LLP is an organization committed to increasing the knowledge of the Modern Civil Right movement and works to pass on relevant lessons in keeping with the present day struggle for human rights. Reggie continues to write, tour and record new music in a career dedicated to the mission of education, inspiration and justice.